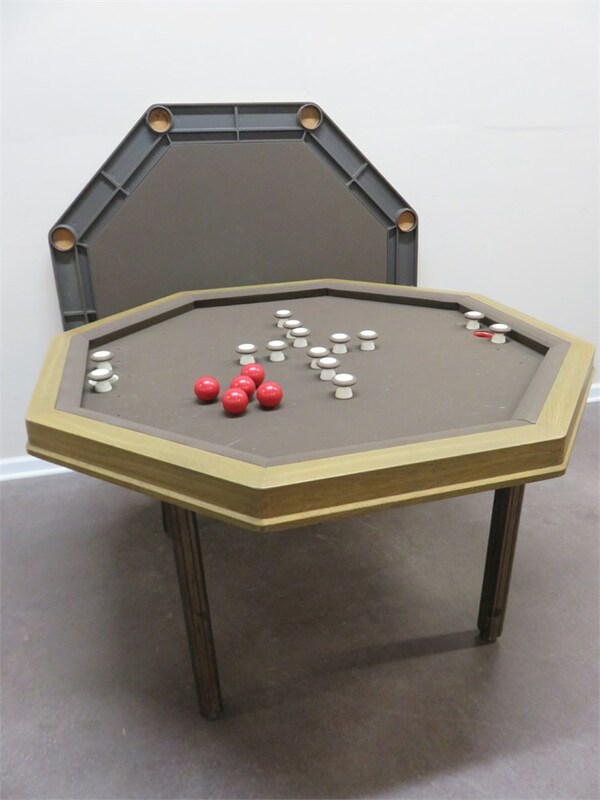 Transform any room in your home into an exclusive game room by adding this octagonal 3-in-1 bumper pool table. 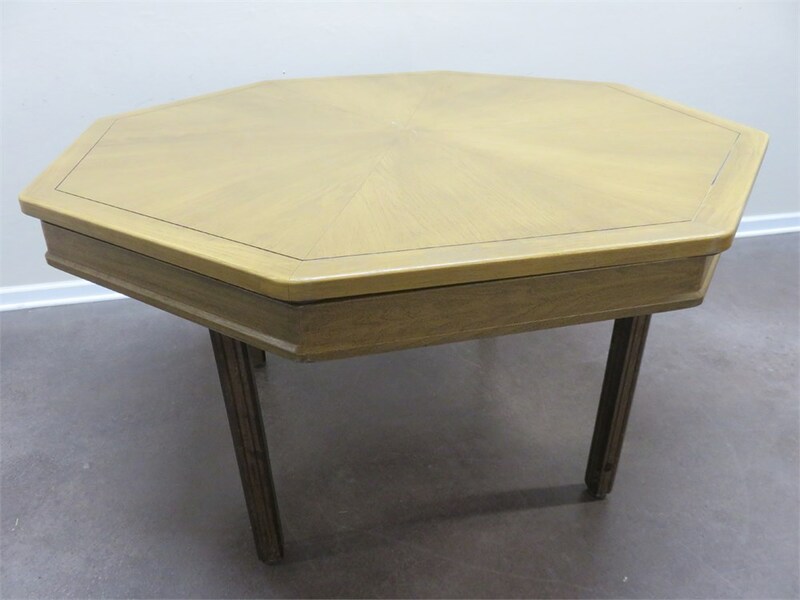 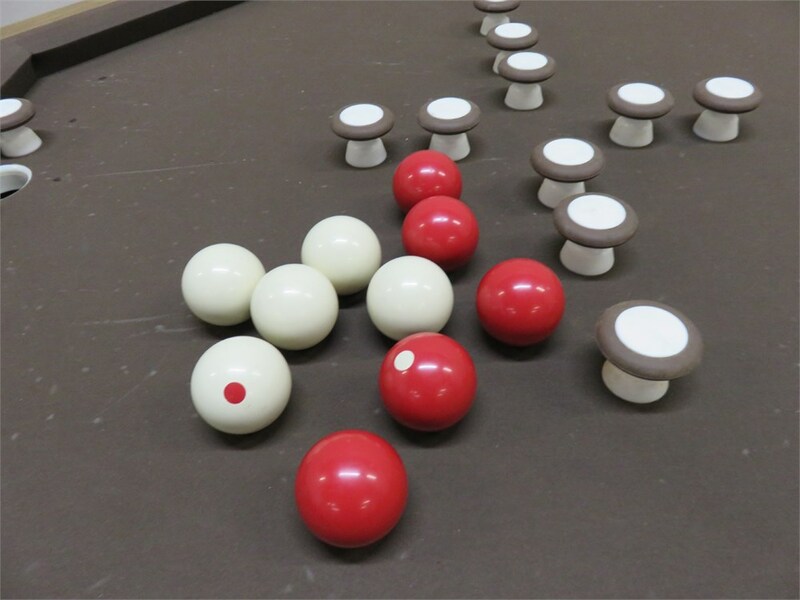 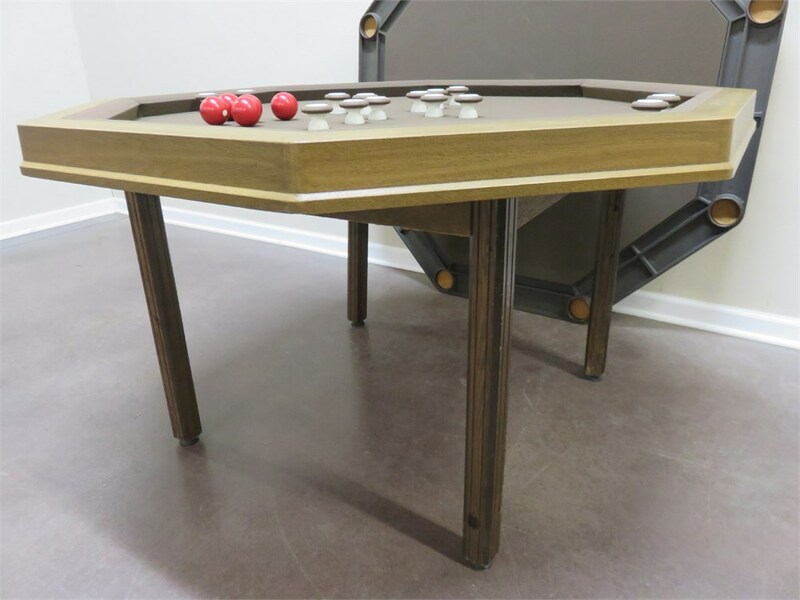 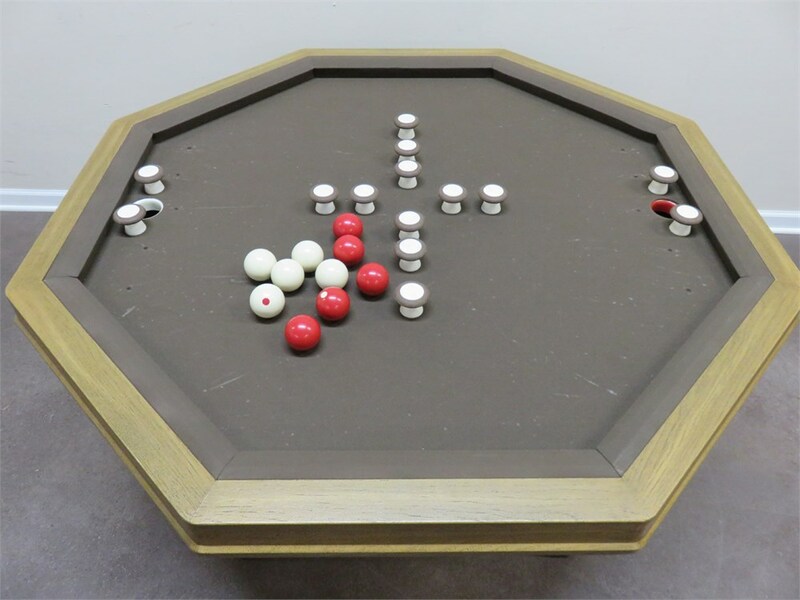 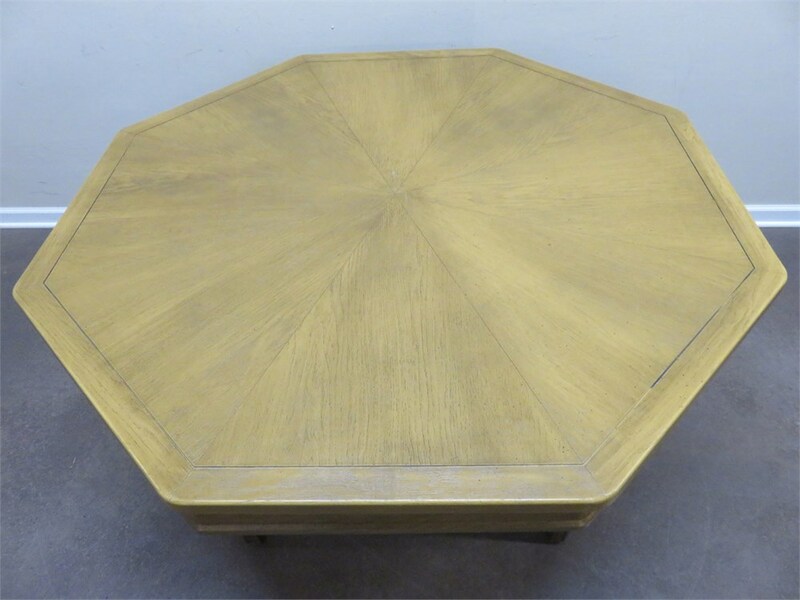 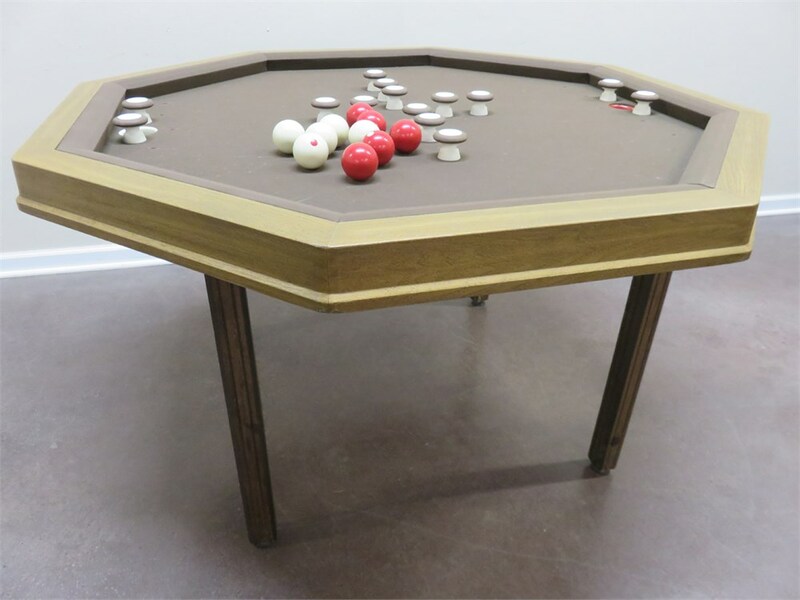 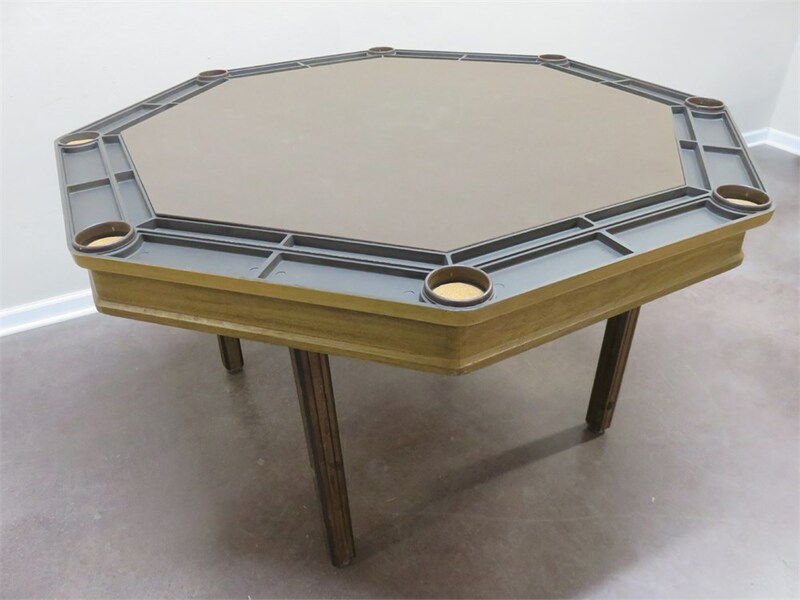 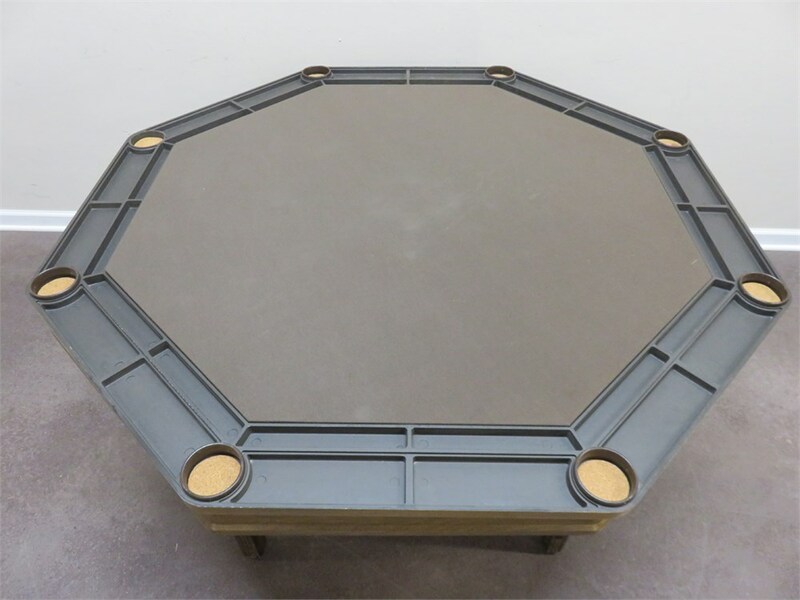 This versatile gaming table features a permanent bumper pool table top, but can be easily transformed into a poker table or dining table using the interchangeable table top. 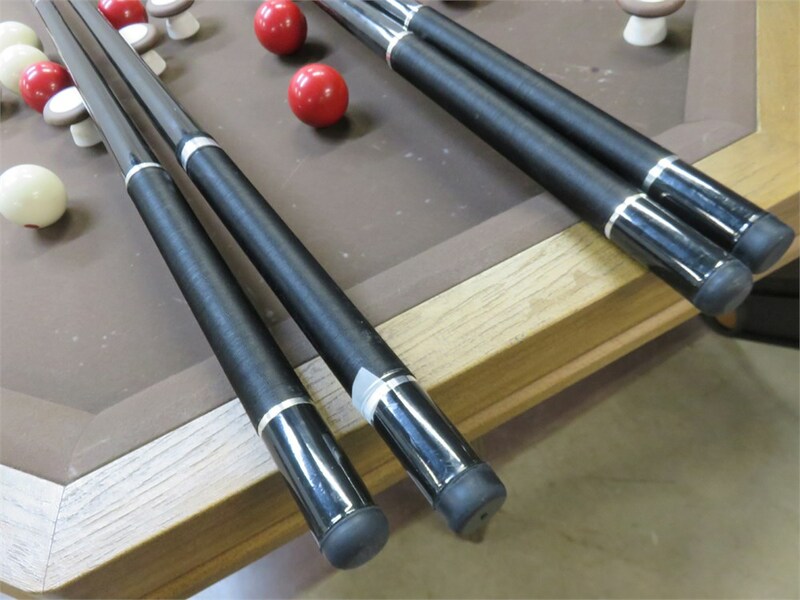 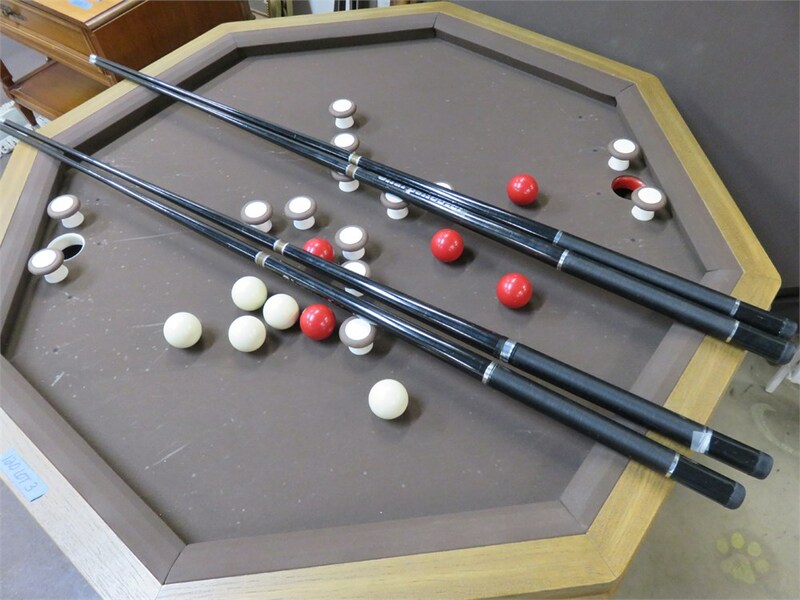 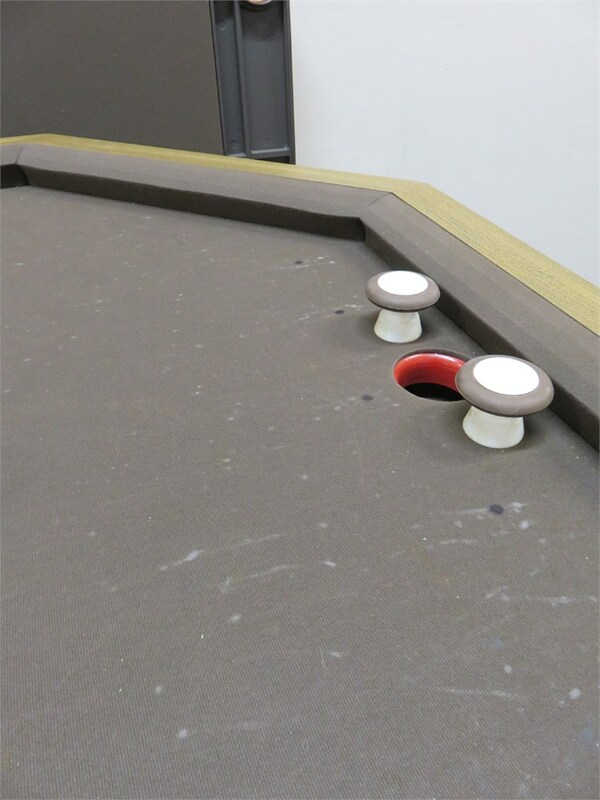 This table includes a set of 4 cue sticks and 10-ball set. 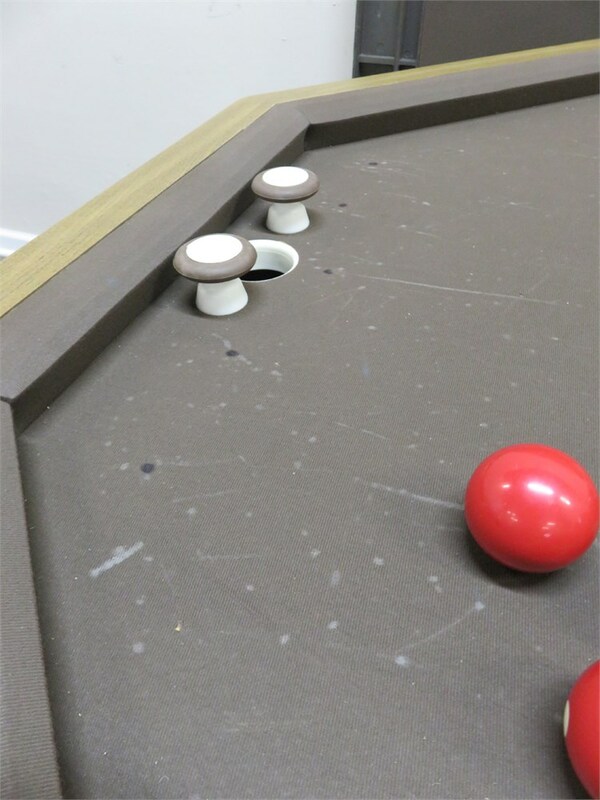 Shows typical wear from age and use.